Thank you to our customers from New Oxford! For years, New Oxford residents have chosen Nick's Garage Etc. for auto repair and auto service. We appreciate the loyalty that we have found from our New Oxford customers. For new customers, Nick's Garage Etc. is a leading auto repair shop that has a reputation for honest and dependable repair work. Our services include 4x4 Services, Brakes, Car & Truck Care, Domestic Cars & Trucks, Electrical Services, Electronic Services, Engine & Transmission, Engine Maintenance, General Services, Heating and Cooling Services, Import Cars & Trucks, Inspections and Emissions, Miscellaneous Services, Tires, Trailer and RV Repair, Transmission Services and Undercar Services. For questions please give us a call at 717-637-6236. Nick's Garage Etc. 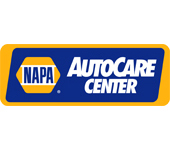 located at 5490 Hanover Road is where customers go to find affordable, professional car care! It was my first time there and service was excellent. Very friendly and informative about the service they would be providing. Prices are extremely fair and time waiting was excellent. Will definitely be making them my garage of choice. They fixed my car! Thanks guys! Well run professional garage. Nick and crew take good care of the customer and their vehicle. Garage handles inspections and repairs for big and small vehicles. Great local mechanic. Always honest and try to get best price on parts. They can usually squeeze you in if you really need it. My go to shop! They are professional and friendly. I have an older vehicle and most shops try to sell me extra unnecessary repairs. They don't recommend unnecessary repairs and communicate with you on what needs to be done. Their prices are very reasonable. They worked with me when I had to go out of town. I can't begin to tell you. These folks are awesome. Originally did my RV inspection, when one of the more "advertised" RV people wanted to fix things that didn't need. These guys are very informative. The second time we went back for a window breakage, no worries. Very reasonable priced. Would absolutely recommend to all our RV buddies. This is my new go to RV garage. I would recommend anyone to use Nick's garage. We were informed during the whole process of fixing the vehicle. Prices were reasonable and not over priced. The time it took to get the vehicle fixed was within a reasonable amount of time. We would go back again. We had the rear calipers on our class c motorhome lock up on our way to Gettysburg on a Friday in the late afternoon. Nick and Sam were able to get the parts the same day and worked late to get us back on the road that night. Can't say enough about how glad we were to find them and how helpful they were. Took my GMC Sierra here for inspection/emissions. Great experience, friendly staff. One of the few honest shops left around!!! These guys will be my go to for service work. First time going to Nick’s for an oil change and inspection and they were phenomenal. So kind and informative and they made sure they had my permission before making any improvements. I felt very comfortable which is saying a lot because I know nothing about cars. I would highly recommend going here! I highly recommend Nick's Garage Etc.! They are honest, and do great work! Sam was able to get me in the same day I called. Also, he took the time to show me under the car and explain the problem. Thank you, Sam and the whole staff at Nick's Garage Etc. for your great customer service and excellent work!